Submarines with Russia’s Northern fleet have completed more combat drills during the winter than anytime before in post-Soviet history. Diesel-electric and nuclear powered submarines have completed more than 30 combat exercises this winter, Russia’s Ministry of Defence informs. War-games have mainly taken place in the Barents Sea and includes firing of ballistic missiles, cruise missiles and torpedoes. Russian submarines are increasingly assertive in the Barents Sea, Norwegian Sea and the Atlantic. NATO sources point to a particularly increased number of patrols in the Greenland-Iceland-United Kingdom triangle. 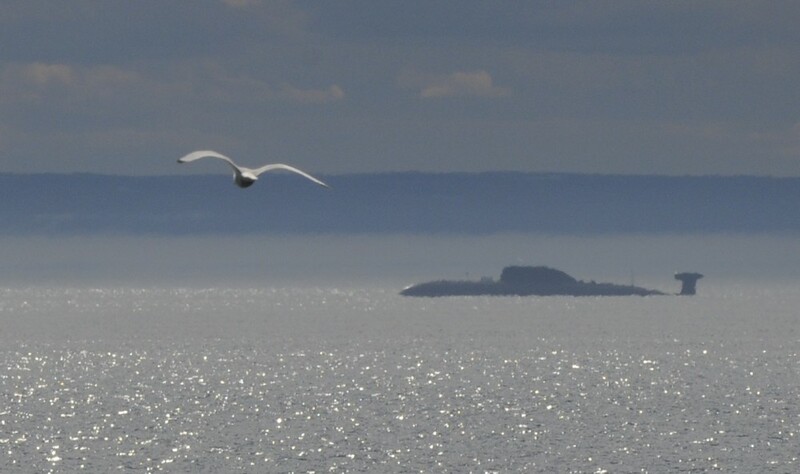 After years of disarmament in the Northern fleet following the end of the Cold War, the naval bases along the Kola Peninsula are now again receiving brand new and heavily armed submarines, including both ballistic missile subs and multi-purpose subs. On April 30th, the last day in the winter season, Russia’s top modern multi-purpose submarine, the “Severodvinsk”, launched a Kalibr cruise missile from submerged position in the Barents Sea. The missile hit a training target on the Chizh testing ground on Cape Kanin north in the Arkhangelsk region, the Barents Observer reported. Exercise-periods involving submarines from the Northern fleet increased by 70 days last winter. More than 50 crews of both surface ships and submarines have been ready during the winter for combat missions. In addition to “Severodvinsk”, four other submarines of the Yasen-class are under construction at Sevmash naval yard by the White Sea. Vessel number six of the class, to be named “Perm” will be laid down on July 31, traditionally the Navy Day in Russia, TASS reports.